How to boss a Rainy Day in Westport! Don’t let the rain stop your play! In Westport, you can learn to love the rain as much as the plants. The West Coast town has great selection of activities nearby where you’re going to get wet anyway. Whether it’s surfing, white water rafting or mountain biking in the mud, some things are just more epic on a rainy day in Westport. Alternatively you can find things to do around town that will keep you dry as a bone. Check out some of the history at the Coaltown Museum or on the role-playing activity of the Denniston Experience. A good beverage at the breweries or a warm coffee in the many cafes is a good way to go to. So check out the list below on how to spend a rainy day in Westport! 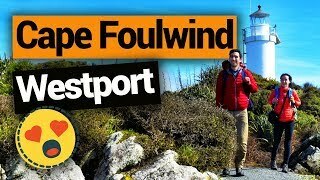 And by the way, if you need a place to stay, how about these 6 Best Backpacker Hostels in Westport? As a good New Zealand town, Westport is home to a few breweries. One of the most famous in town is West Coast Brewery that offers tours, tastings and a whole lot of laughter. The town is also dotted of many pubs, 13 of them in fact, so go on your own pub crawl and forget all about that grey sky. Take your pick or do them all! Westport has heaps of art galleries around town. Honeycomb Gallery, Whakane Gallery or Peter Homewood’s Art Gallery are some of the most popular but don’t miss the Art Hotel either for some stunning paintings. 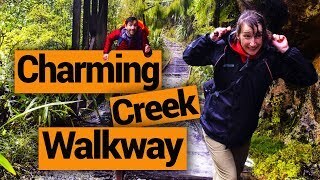 This hike has it all and looks all the more epic under the rain or shortly after it: a swingbridge, rainforest, tunnels, and, of course, waterfalls! The larger waterfall of the hike grows to an impressive size after a good rainfall – an unmissable sight if you are lucky enough to encounter rain in the area. It’s one of the 5 Westport Must-Dos. Location: 35km northeast of Westport. It is clearly signposted off State Highway 67. Start the Charming Creek Walkway from Ngakawau, which is clearly signposted off State Highway 67. If mountain biking, the easiest direction is from Seddonville, take Charming Creek Road. Westport is a town on the move. 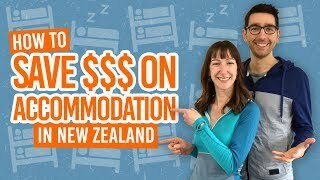 Gym prices starts as low a NZ$6 a session! The town also has a brand new sports complex complete with an indoor heated swimming pool. This is your chance to get rid of that excess weight that you have been carrying since your last potluck dinner. Like many towns in New Zealand, Westport has loads of great coffee places spread around the many colorful streets. Whakane Coffee & Art Gallery is a hot spot on cold days and so is the Granola Bar. But stray around and discover your own little hidden gems, coffee places come and go every days in the country. Proud of its heritage, Westport features a great museum dedicated to the local history which is, you guessed it, Coal mining! The museum offers a wide variety of artifacts and scenes from the coal era that made Westport the town that it is now. Hiding in caves is the most primal way to spend a rainy day, isn’t it? Only a few kilometers away from Westport, the small town of Charleston hides some of the most beautiful caves of the South Island. Visitors can make the most of it by taking part to an ultimate caving experience involving tubing and climbing! Alternatively, you can take a walking tour. Location: Charleston is 27km southwest of Westport. Wait for a break in the rain, grab a bike and go crazy! We all know that mountain biking is much more fun in the mud. The tracks are more challenging and even the easiest track can turn into extreme sport. 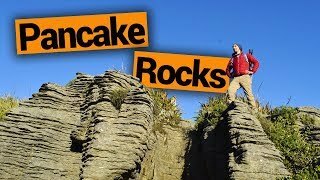 Check out the tracks at the Kawatiri Beach Reserve! Location: Kawatiri Beach Reserve along North Beach. If it’s already rainy then you might as well get really wet! Zip up your wetsuit and get yourself to North Beach or Tauranga Bay for some of Westport’s famous surf breaks! Check out more 7 Places to Surf in the South Island. Location: North Beach surf break is at the end of North Beach next to the Buller River. Tauranga Bay is 17km west of Westport. Take State Highway 67a onto Tauranga Bay Road. In the same spirit of being wet anyway, did you know that only a short drive away from Westport is the Buller River, one of New Zealand’s most epic rivers for white water rafting? With its huge amount of rapids, you are sure to get as wet as it gets and forget all about this pesky rain. For more white water rafting inspiration, check out 7 Places to go White Water Rafting in New Zealand. Location: Various operators can be found in the region. Who doesn’t like a shameless binge-watching session on YouTube? 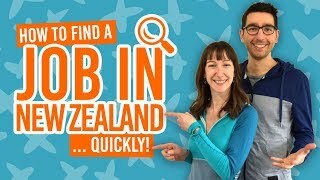 Get some inspiration for your next activity in New Zealand by watching this intrepid pair take on 365 Days: 365 Activities in New Zealand! Make sure you subscribe. Check out these things to do!